Georgy is always in the creative process. He creats various comic shows alone and also with his stage partner Dmitry Vorobyov. Their mutual project is called “Mad-comedians”. The duo appears in different comedy shows on TV. Since their brilliant acts are remarkable for requiring no explanation, the audience gets easily related to what’s happening on the stage. 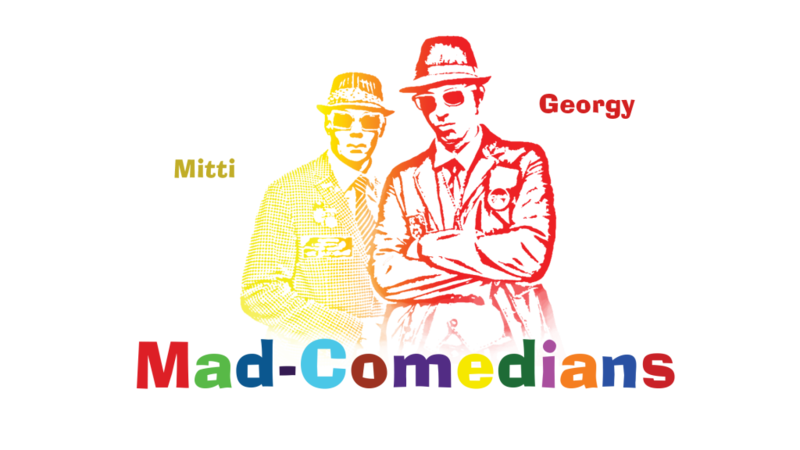 On April l1, 2014 the duo “Mad comedians” picked up grand-prix at the international clown festival “Komediada 2014” in Odessa. Please Enjoy some video from them work.